If you have a LEGO crazed boy or girl in your house then you have the perfect motivator for learning! 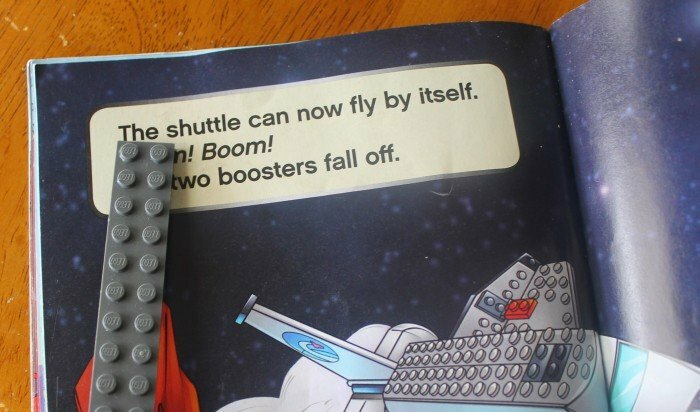 LEGOS can be used to teach everything from math to language arts to art! They are free since you probably already have buckets of them on hand, and will keep your childs attention probably better than any other theme will. I know my son will reach for LEGOS before any other toy so it seemed like a great theme to use, and it was! 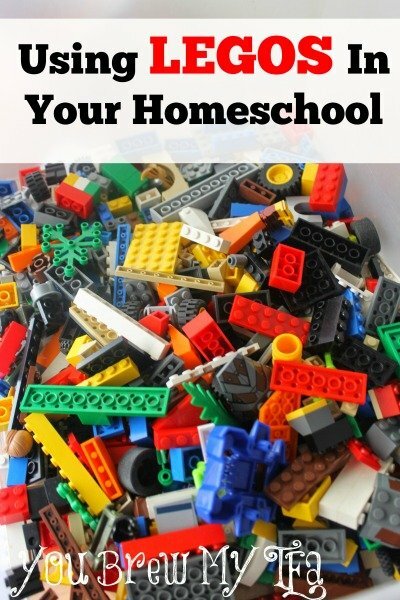 Whether you have a preschooler right on up through middle school you can easily be Using Legos In Your Homeschool. They are also great if you just want to supplement school work. I want to give you some ideas to get you started using LEGOS in every aspect of your school day. Check out our Homeschooling for Lazy Parents Facebook Support Group for more tips and ways to make your homeschooling experience easy to manage! 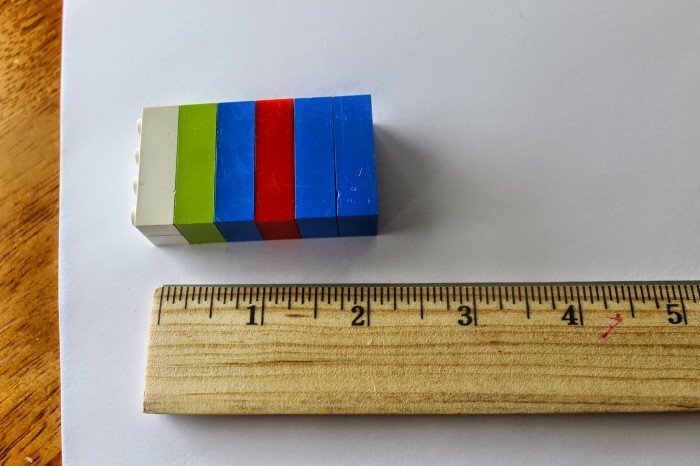 You can use LEGOS as a tool in math from simple one to one correspondence counting (pointing to each object as you count 1,2,3…) to fractions. They are a fabulous math manipulative for boys or girls. Even toddlers and preschools can use them (with supervision and perhaps the bigger Duplo version) can learn through using them. Colors are a beginning concept of math, you can have them identify colors, sort, make patterns, count using one to one correspondence, as a tool for simple addition and subtraction. 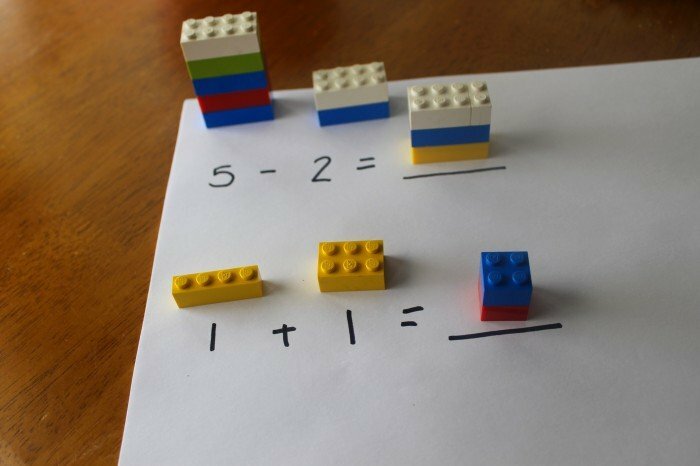 Make worksheets by writing out math problems such as 5+2=_, or 10-3=_ and have your child use LEGOS as a manipulative to solve the problems, and then write down their answer. For addition problems use 2 different colors to show each addend. Let them also make up their own problems, involving them in the process will make them more interested. Fractions? No problem. 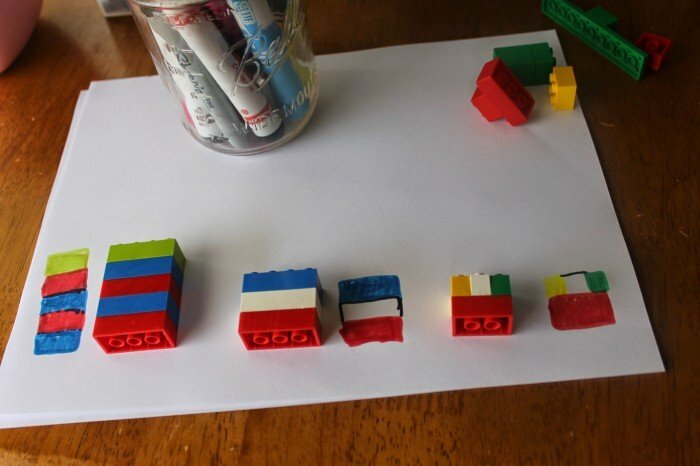 Make flash cards listing various fractions, give your child a pile of LEGOS and have them demonstrate by making a visual model of them. Use a small piece of washi or painters tape to cover one side of a brick- write letters for little ones, give them 2 or 3 as well as an object like a pan and have them match the object with the beginning letter. Cover one side of LEGO in tape, write simple sight words on each one. Call out words and have your child pick up the one you called out, to make it more fun have them use tongs or even their toes! Another variation? Create a bingo sheet with sight words on it, and use the LEGOS as markers. 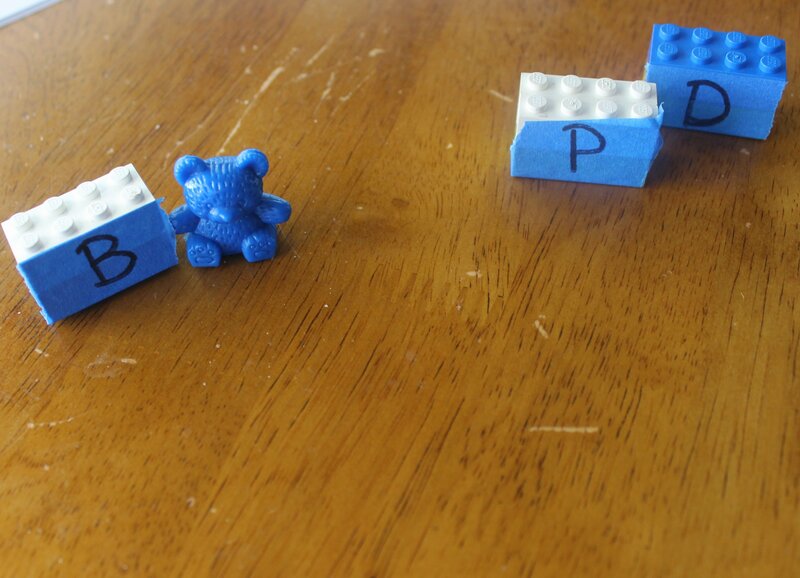 Show your child how to count syllables in a word- use LEGOS to represent each syllable. Use the LEGOS to create letters of the alphabet, a great way to enforce letter recognition. When reading we use long LEGO pieces as pointers to track words in the story. Create a LEGO solar system or a diagram of the bones using bricks. Build simple machines from LEGO, make predictions on how they will work, have your child log their findings. Measure with LEGOS or make towers from them and measure with a ruler. Use a scale to measure weight, learn the terms- balance, heavier, lighter, etc. Give your child tasks by asking them to weigh 5 -6 stud bricks on one side and 10- 2 stud bricks on the other. Which is heavier? Have them add more as needed until the scale is balanced. If you are studying a particular time period, place, or person use LEGOS to create landmarks like The Tower of Pisa, a replica of the Sistine Chapel, or a map of Florida. Use them to create a timeline- cover in washi or painters tape, write events from various points in history and have your child place them in order. Study the history of the bricks themselves using the library or computer- When and where were they invented? What does LEGO mean? Where are the various factories located? 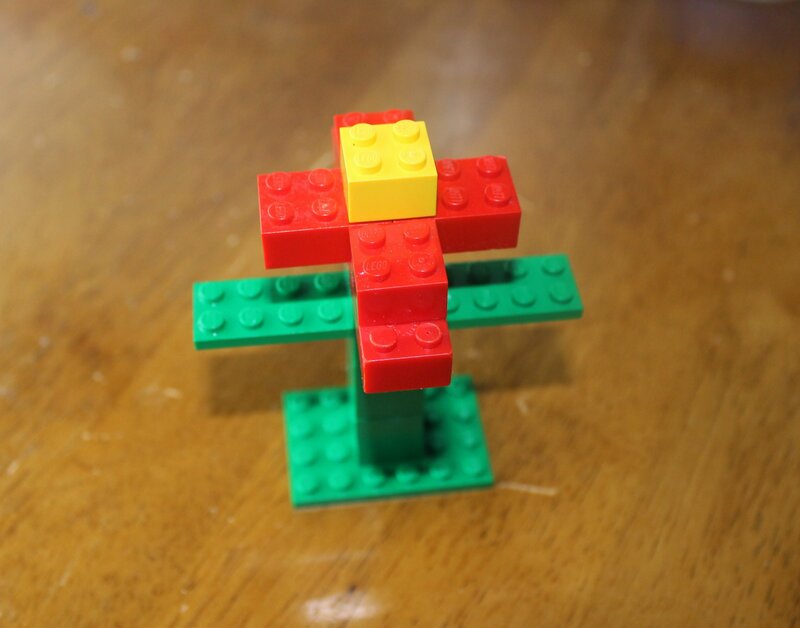 Create free form structures and designs or give your child a specific subject- make a flower from LEGOS, create a garden using them, etc. Use LEGOS as stamps, dip them, both sides, in paint and create a free form abstract painting. Create your own Minifig- Have you child draw their own unique version of a Minifig character. One of my favorite activities to do with my son is to give him a select amount of LEGO bricks in a bag and ask him to make – a flying machine, a boat, a building, or anything that comes to mind. This builds great critical thinking and problem solving skills. At any age the act of putting together and taking apart bricks builds fine motor skills, this is great for children who are having a hard time with writing. 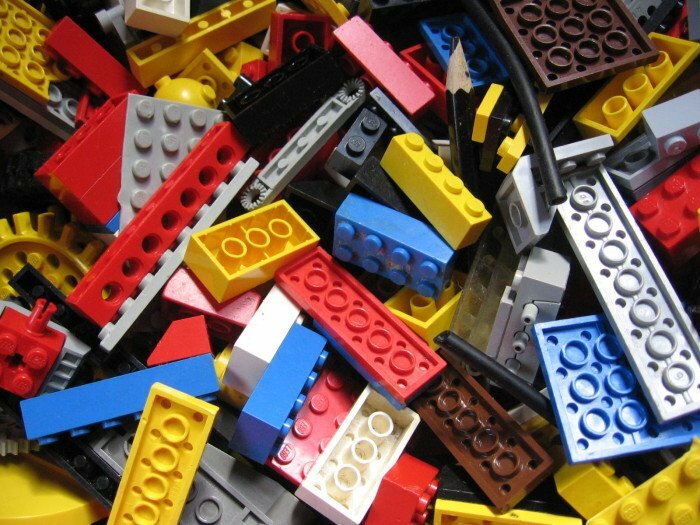 Don’t forget to just play with your child- LEGOS are amazing for imagination, creativity, dramatic play, fine motor skills, they can be therapeutic for any child but especially those with special needs. Sensory Bin- Fill bin 1/4 to half of the way with water or rice, toss in some LEGOS and let their senses and imagination take over. What is your favorite way to use LEGOS for learning? We love LEGOs at my house. My kids love to creative build with them. Thank you for sharing your homeschool idea at the #HomeMattersParty – have a great weekend!